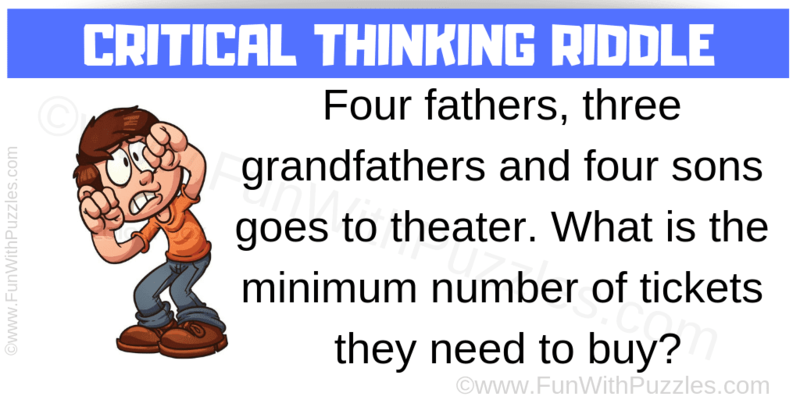 This is very interesting critical thinking #riddle which will tickle your mind. In this mind tickling brain teaser you have to calculate minimum number of tickets you need to buy for 4 father, 3 grandfathers and 4 sons. Think out of box to solve this critical thinking brain teaser and post your answer in the comments. Can you solve this critical thinking riddle? 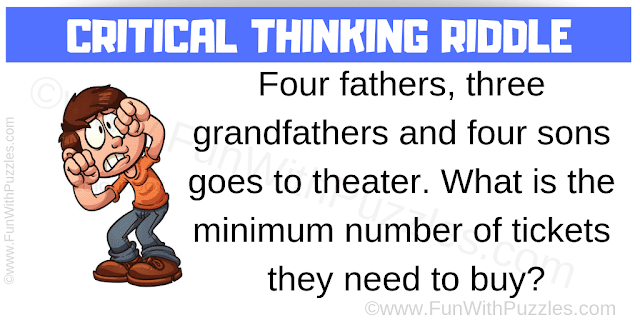 Answer of this "Critical Thinking Riddle", can be viewed by clicking on answer button. Please do give your best try before looking at the answer. A-B-C-D-E where B is father of A, C is father of B, D is father of C and E is father of D.